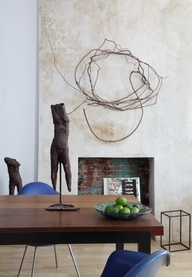 If you were going to hang something over a fireplace, what's the first shape you think of ? I bet it's not a circle. 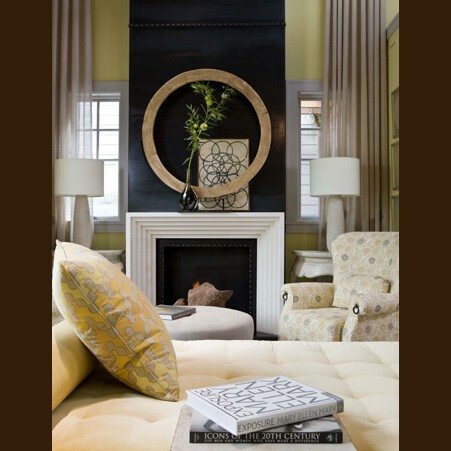 Most people would think rectangle, but I would like to suggest going against that natural inclination and putting a shape there that plays against the straight lines of a fireplace. 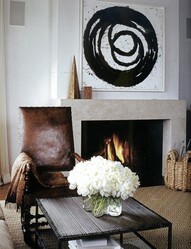 What do you think of the impact a circular motif makes? While the art is square you hardly notice the frame. It's the circular mark making that catches the eye. 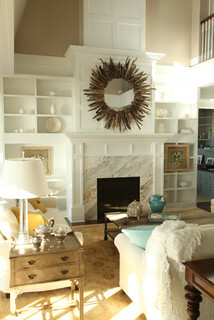 An empty frame with two other objects creates great impact. 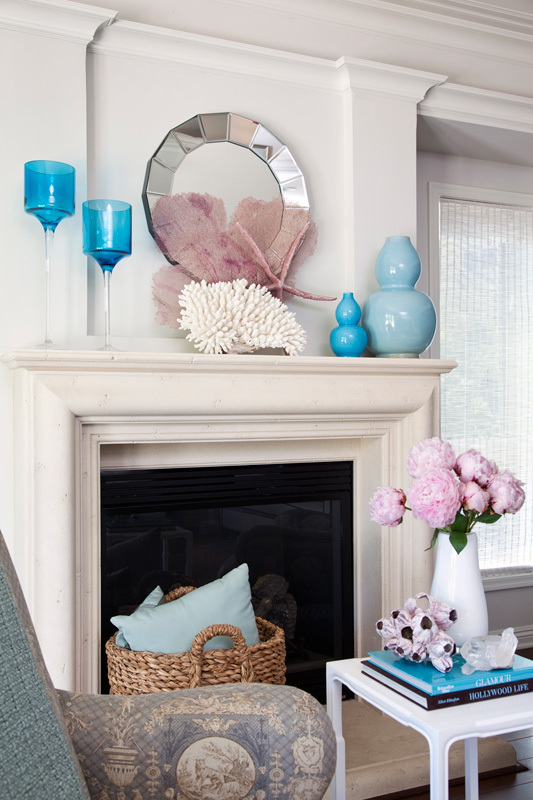 A circular mirror with a mirrored frame sits back quietly while the blue accessories do all the wow work. A simple round mirror bordered with driftwood. This is an easy DIY project. This vine that has been fashioned into a loose circle is calligraphic in its statement. 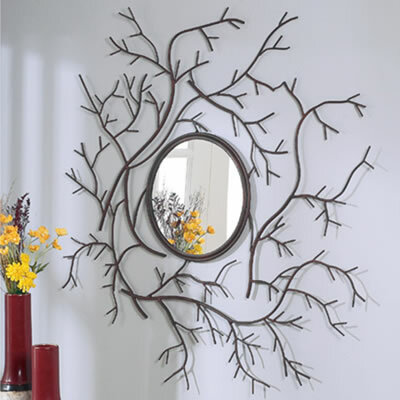 This Austin branch mirror provides the best of both worlds, a lovely circle and radiating branches.